VAW also known as Virtual Attitude Wrestling is an interactive sport within the realm of virtual reality. VAM replicates real world wrestling and gives residents of Second Life the opportunity to experience this sport up close and personal. SL residents have a choice. Be a fan cheering from the stands or one of the heavy weight champions flying from the top rope and taking out their opponent. I had the pleasure of meeting up with Vince Aftermath, the CEO and learning more about VAW and the excitement it brings to the Second Life community. Lanai: Hi Vince, thank you for taking time out of your busy schedule to get a sneak peek into your SLife as the CEO of VAW and what Virtual Attitude Wrestling is all about. Before we get in depth, can you share a little about yourself? Where you from and what are brought you to Second Life? Vince: It’s good to see you again Lanai. I know it’s been a few years since we last talked but I’m happy to say I’m still here. 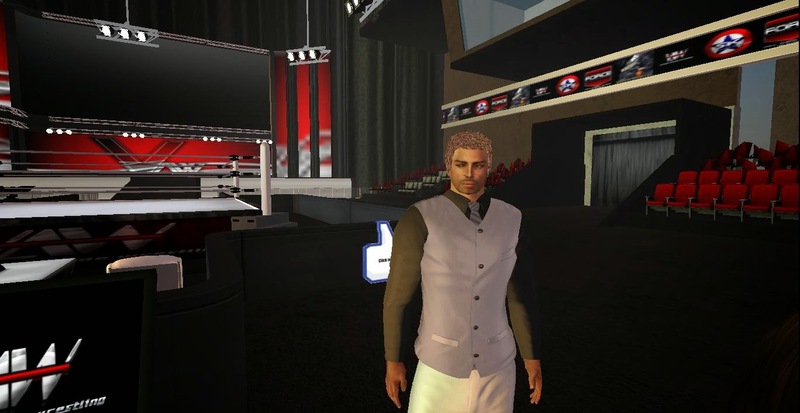 I’m from Atlanta, GA and I came to Second Life because of SL Wrestling and that was it. There is no other virtual world out there yet that has Wrestling as far as I can see. Second Life Wrestling is every wrestling fans dream if they only knew it was here. We are living a fantasy, an imagination, a replica of the real world Wrestling and it’s amazing. Lanai: Yes, it has been a long time since we have spoken. I agree with you, virtual wrestling is unique and I find sports to be an interesting activity to bring into the virtual world because it can be difficult to keep people interested and entertained due to time zone issues and people’s real life schedules. How do you maintain you’re wrestling staff and show schedules in Second Life? Vince: Second Life Wrestling is the most entertaining thing on Second Life hands down. You get voice drama to in ring action all coming together at once. Virtual Attitude Wrestling in particular is where you can bring your family and friends sit back and really get entertained in all aspects. How do we put together such a heavy produced show the way we do? First of all, the turnover rate in wrestling period is and will always be a huge factor. However knowing that helps VAW in the long run. Our management understands we can have someone today but could be gone tomorrow next week or a month from now for many reasons rather it’s their internet, RL stress, SL stress, and/or problems within VAW the list goes on. It’s important to know this as an owner so you can have plans ahead of time to fix whatever problem it may cause on your organization. However, it’s still not easy putting together shows every week. You have no idea how much effort we put into our shows. You would honestly probably freak out to say the least; about the work has to be done. I think what helps is that we have standards and loyal fans that motivate us to keep going. The standards we have ultimately weeds the lazy people out. Lanai: I like your attitude. I agree, standards and loyal fans do go a long way in Second Life. Can you tell me about your wrestlers? How many do you currently have in VAW and what are their current ranks? Vince: Yikes! You know again I wouldn’t be able to give you an accurate number because of the turnover rate. I can easily say about 30 to 35 but then tomorrow it can be 5 lol. I will say we have about 93 people in our main group with wrestlers and staff as of 6/1/14. We don’t have ranks for wrestlers other than Rookie and Pro. If you sign up to our forum you will see our administration listed. Lanai: How often do you have shows and what can fans expect to see? I also see that you do live broadcasts. Vince: Our goal is to get more shows. We want to hit every major time slot and have a show every other day at different Sims so we can get the full amount of awareness across Second Life. Many of the partners I work with are pretty much demanding that we have a show for their time slot haha and I agree but it’s all about time and careful planning. Right now, we have shows every Tuesday @5pmSLT and Thursday @ 3pmSLT. If you have never seen SL Wrestling you’re in for a treat. Lanai: On the VAW public forum, fans can get information about shows, interact with the wrestlers as well as get involved. Are you currently hiring wrestlers? If so, what type of virtual athletes are you looking for? Vince: If you have the mindset of dedication and loyalty you are what we want because there are spots for everyone. If you want be a part of a team that works together each week contact me. We do not have a forum which has become main priority for VAW. We understand that Social Media is at its highest mark so why not take advantage of that…but in our own way? 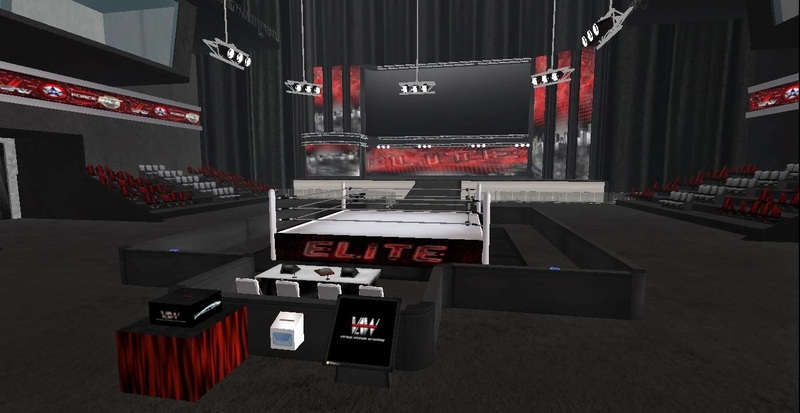 We are creating Second Life Wrestling Community for VAW where fans can get everything they need and more about wrestling in Second Life and in Real Life. Lanai: Do you do charity events? If so what have you been involved in? Vince: Yes, we have done many in the past and we plan to keep that up, always giving back. Lanai: Three years is a nice amount of time to anchor some roots within Second Life. Can you share with our readers any upcoming events you have scheduled? Vince: Three years is a very long time in Second Life…well I guess in real life haha. We have so much going on but one event we call Free Per View that happens on the last Tuesday of each month the next one coming up soon but we are planning on changing the dates so if you stay tuned on our community forum page then you will get all the news first. Also, speaking of first the first 2 people to contact me in world will get a VIP section skybox for that event. Lanai: With Second Life always changing, what new things can we expect to see for VAW? Vince: VAW is always changing to stay ahead of the game so expect that to continue. Virtual Attitude Wrestling is more than a typical wrestling organization. We are much smarter and skillful than that. Lanai: Is there anything else you would like to share with our readers about Virtual Attitude Wrestling? Vince: Yes, thank you all for your support, we really do appreciate it. The fans of VAW are the life blood of our brand. We are not done; this is just the start of something big. Hang tight but this is going to be a hell of ride to the top. Thank you SL Enquire it’s all always pleasure to be recognized by you guys.